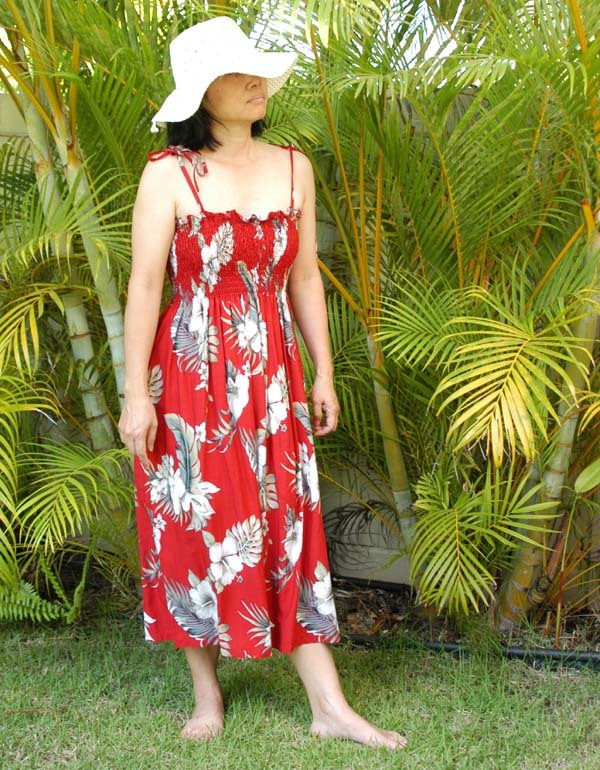 These beautiful Hawaiian print smocked strap dresses has adjustable spaghetti shoulder straps, about 7" smocked bodice wrap around for an easy fit. 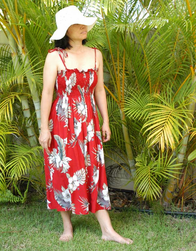 This smocked dress also use as Maternity clothing, It give women the option for a loose hip fit. They are convenient for expecting mothers and women who need a wider bottom dress. * Fits women size 8, 10, 12 and 14. * The length of the dress is 36", measured with out the strap.